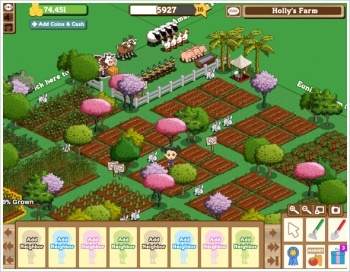 Zynga expects a net loss of $90-105 million in the third financial quarter. The troubled social game company warns that disappointing third quarter revenues means its earnings forecast for the remainder of the financial year would have to be cut. Zynga stock price lost about 20% of its value after this announcement. A delay in new titles and overpaying for Draw Something creator Omgpop were blamed for the drop in third quarter revenues, which are estimated to add up to a net loss of $90-105 million for the quarter. CEO Mark Pincus in an official announcement said that, in the short term, Zynga would meet these challenges with targeted cost reductions and refocusing its game releases "to reflect our strategic priorities." "Let's not lose sight of the bigger picture," Pincus urged investors. "The world is playing games, and is increasingly choosing social games." Pincus went on to claim that Zynga represents three of the top five popular mobile games in the US, and argued that Zynga's strong mobile gaming position meant that the social gaming developer still had what it took to add growth to its web business. This announcement comes on the heels of a Zynga staff exodus, and a string of high profile executive departures. At the moment there's little reason to think the fourth financial quarter is going to be any better than the previous three. Pincus admits that several high profile titles expected to launch in Q4 may suffer delays and that live web gaming isn't doing as well as Zynga hoped.